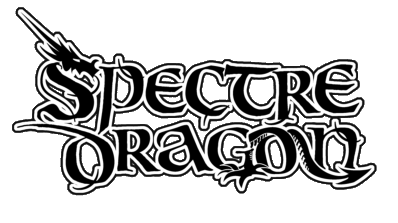 time has come again… First of all, SPECTRE DRAGON has nothing, or little, in common with the band that used-and published Albums under-that brand in the years 1999 to 2007. And yet it has, in a way -its origin. When the band changed their name to LOST WORLD ORDER, the renegades TÄT and Aethlexander, two of the founding members, took the chance to re-occupy the brand and name to refound the band to become what they intended it to be from the beginning: A tribute in metal to the undead dragon M'zaarox. 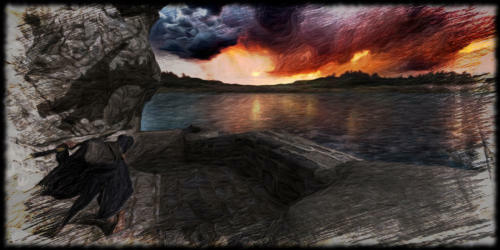 The lyrics inspired by the "Geisterdrache" novels written by horror/fantasy author Marc-Alastor E.-E. and the music breaking boundaries of the ever so often narrow- minded classification of metal genres. Rise, we‘ ll be back, our matter is not forlorn. We are legion, we are the dragonsworn.